If you were to guess the most visited and downloaded entry on this blog, what do think it would it be? That rare Mingus? The live version of Ornette's "Skies of America"? The only record pianist Kenny Kersey ever made as a leader? How about Duke Ellington and Bing Crosby teaming up on "St. Louis Blues," with Der Bingle scatting a chorus? I might have guessed one of those, too. But I'd be wrong and so would you. Number 1 on Gems is "Fats and Fat Value" from March of last year. 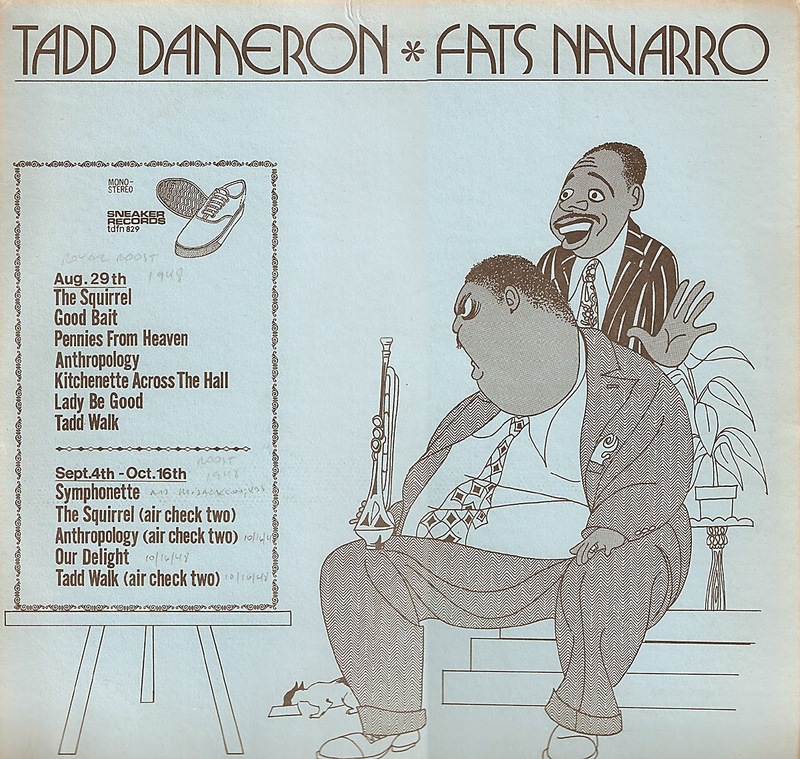 There I mused on the worth of this music called jazz and contrasted the value of a Michael Cosmic LP with one by Tadd Dameron and Fats Navarro. Apparently Gems' readers thought the Dameron/Navarro download was worth something, because it sold and keeps selling ("selling" being a term of art – nothing here is for sale except a bridge in Brooklyn). 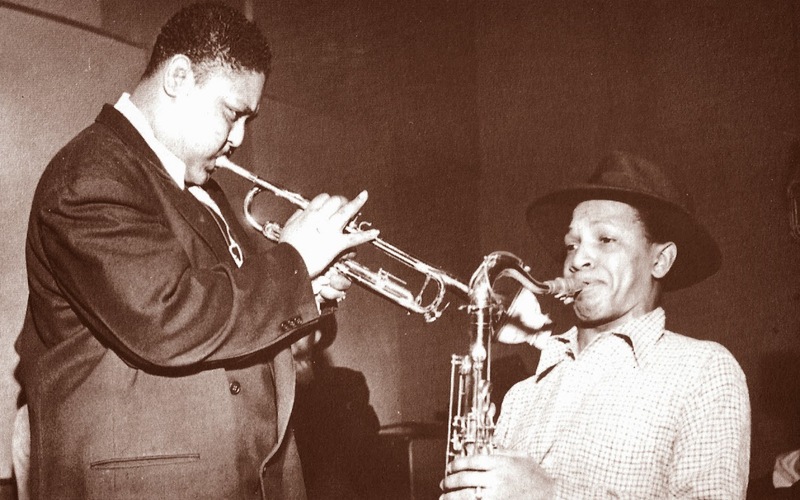 So, to keep our readers happy, here's Part 2 of Tadd and Fats at the Royal Roost in 1948, another treasure that comes our way via the obsessive/compulsive airchecking of the late, lamented Boris Rose. This one features a few nice vocals by Kenny Hagood and a guest appearance by Milt Jackson. The playing is first rate with Fats in primo shape and Alan Eager displaying his mettle. The recording has Boris's abrupt starts and stops, and there's a bit of surface sound, but overall I'd say these tunes are in pretty good sonic shape for being in their 67th year (hey, I'm nearly that old!). So enjoy them and let's see if we can outdo the last Tadd/Fats download. As always, from the original vinyl.